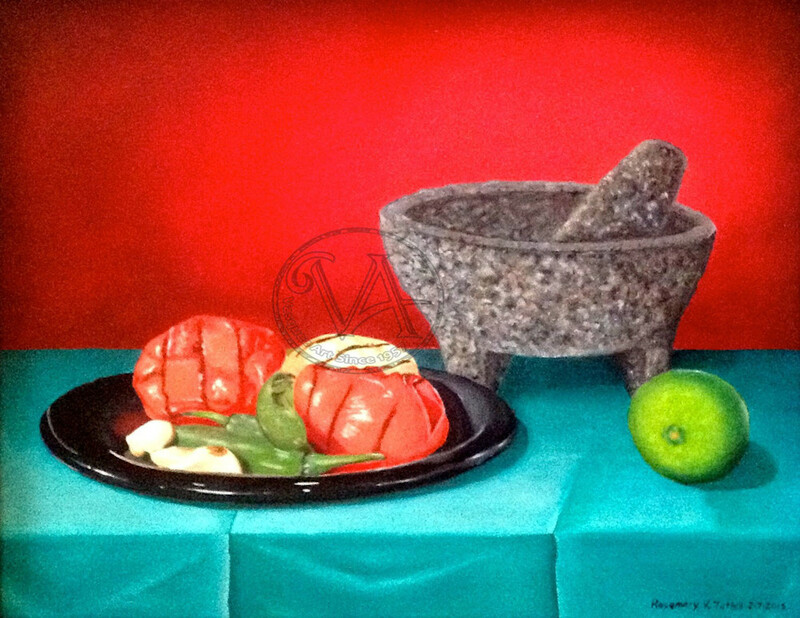 Salsa still life with a molcajete and grilled vegetables. The makings for a wonderful salsa invites takes viewer on a flavor journey. Paired with beer or drinks and friends - a great day awaits. Original size 11x14.